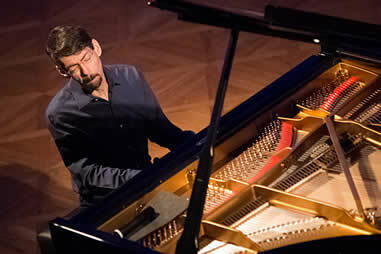 A few months I reviewed one of Fred Hersch’s albums, Solo, for another website (sandybrownjazz.co.uk/reviews.html) where as the title suggests he goes it alone. However, enjoyable though it was, I had reservations on some of the tracks which I found a little self-indulgent. I had long been aware of Fred’s impressive body of work but I have to admit a preference to the classic piano trio context so it was a pleasure to hear him here, back in that format and in fine fettle earlier this year. It is many years now since Bill Evans cast aside the notion of the piano trio being one creator, meekly assisted by bass and percussion and like most of their ilk nowadays, Fred’s two collaborators are indeed just that rather than mere accompanists. The choice of repertoire is never predictable, from the lovely but neglected Rodgers and Hammerstein tune, Cockeyed Optimist, to the Lennon/McCartney classic, For No One, in which Fred reflects the sadness of the lyrics more than the co-composers did in their own version. Kenny Wheeler sadly passed on in 2015 and he was probably better known here in the UK than in his native Canada or the USA. The trio do Kenny proud with a ravishing 3/4 rendition of Everybody’s Song But My Own - taken at a sprightly tempo but still heart-breaking. Would any Hersch collection be complete without a Monk composition? Fred, surely in common with any jazz pianist worth his or her salt, reveres Monk. We See is reconstructed with so many twists and turns that it almost out-Monks the original if that is humanly possible. Jimmy Rowles’s much-recorded lush ballad The Peacocks is given a languorous treatment in honour of that often forgotten pianist and composer. Perhaps little extra magic was added to Fred’s interpretation by the fact that that he was given the original sheet music by Rowles himself. Any slight hesitations I pencilled in against some of the tracks on my previous Hersch review were not apparent in this gorgeous assembly of tunes played for a live audience at New York’s world-famous venue. Fred had been appearing at the Vanguard for 20 years before this recording and says he is honoured and humbled to see his photo on the wall next to Coltrane, Bill Evans and Mingus. Frankly, we listeners are honoured to see him there. Tracks: Cockeyed Optimist; Serpentine; The Optimum Thing; Calligram; Blackwing Palomino; For No One; Everybody’s Song But My Own; The Peacocks; We See; Valentine (solo). 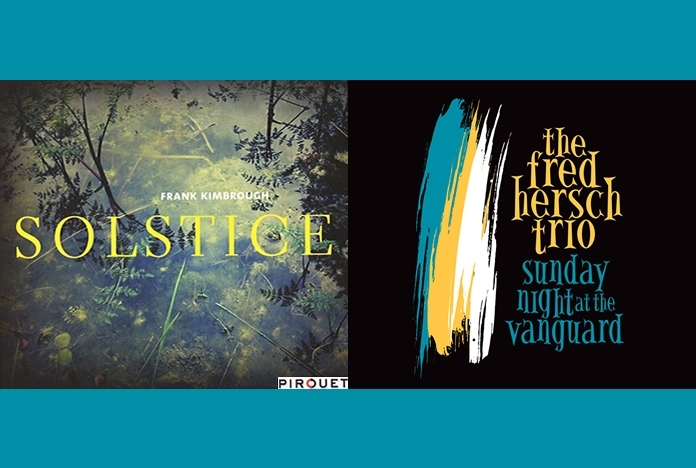 Unlike the other “old timer” reviewed above, I had only infrequently come across the work of New York-based pianist Frank Kimbrough although like Fred he has recently kissed the age of 60 goodbye. Glancing at the tracks on this album (due for release in November 2016) gives an insight into the provenance of Frank's development and the music explores some of the jazz masters who have left a personal imprint on his life. 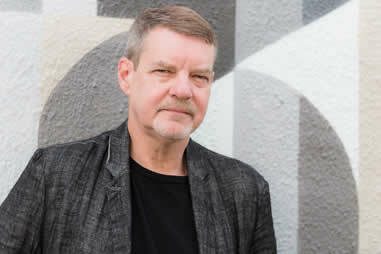 His more “conventional” work has featured duos with Lee Konitz and Paul Bley, as a sideman in Dewey Redman’s quartet and a role in Maria Schneider’s jazz orchestra. However some of his track dedications to musicians like Andrew Hill, Annette Peacock and Albert Ayler indicate that if you’re expecting a straight-ahead piano trio swinging along to standards, this is not the album for you. Walking by Flashlight which winds up the album is, like most of the tracks loving and lyrical, as is the title track Solstice. Gershwin’s Here Come the Honey Man was inspired by a recording of pianist Shirley Horn who was an early friend and mentor to Frank. Two of the tunes which appeal most to this listener are the only original, Question’s the Answer and El Cordobes, written by Annette Peacock. El Cordobes, written by Annette Peacock is dedicated to the famous bullfighter who courted danger quite recklessly. The matador is still surprisingly alive and resided in the Andalucian province of Cordoba when last I checked. The track evokes the spirit of flamenco and Arabic sound patterns. This lovely version brought back vivid memories of time I spent in the steamy heat of southern Spain and offers strong nods to Bizet’s Carmen. As I have more than hinted above, Frank Kimbrough is not an easy piano player to listen to. He is elegant, lyrical and supremely creative but many of the tunes do not resemble jazz as it is generally perceived, with long out-of-tempo passages and a minimum of swinging but I found the imagination and approach carried me along with the trio. Tracks: Seven; Here come the Honey Man; Solstice; The Sunflower; Albert’s Love Theme; From California With Love; El Cordobes; Walking by Flashlight.